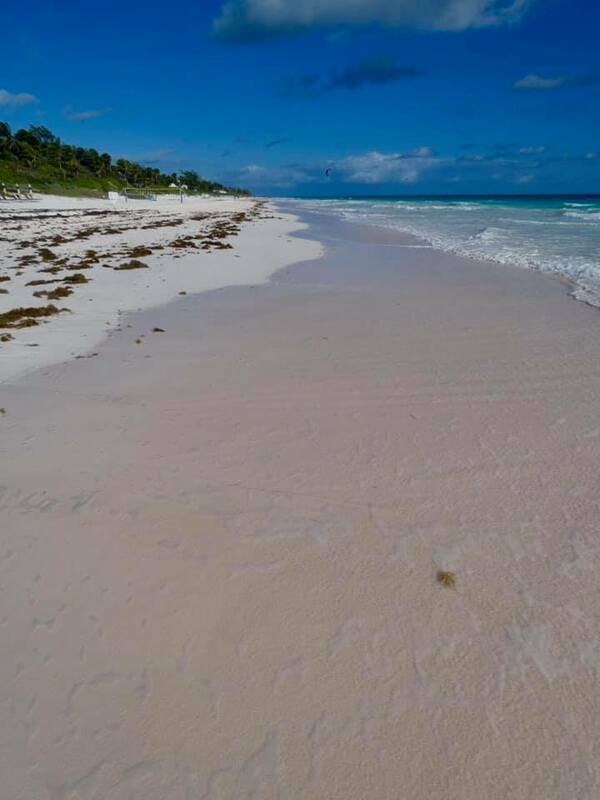 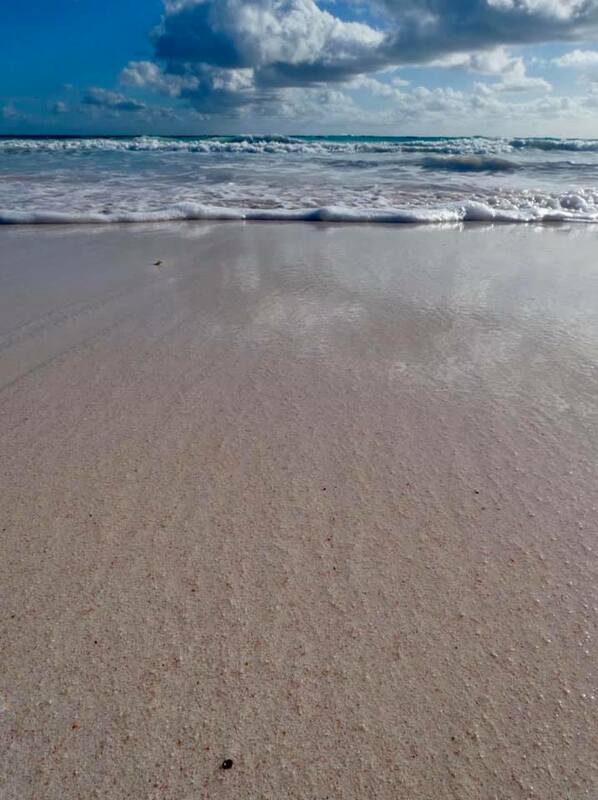 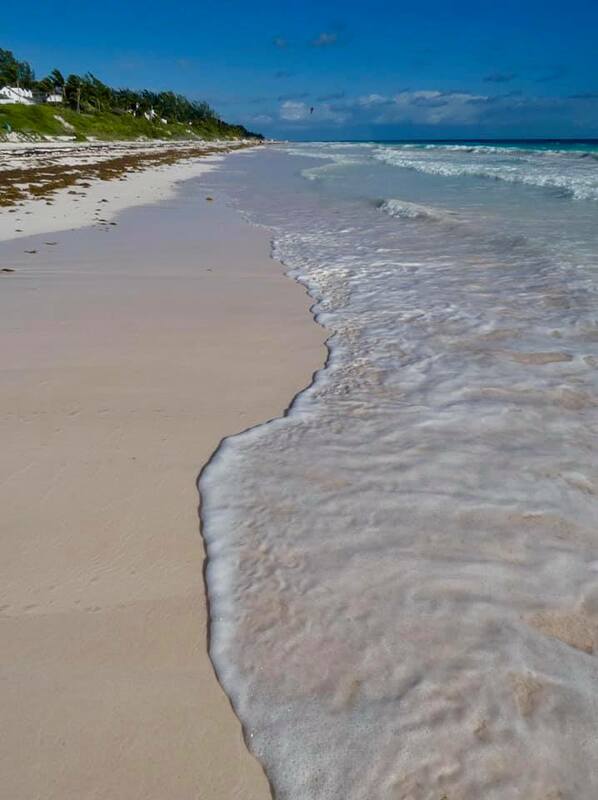 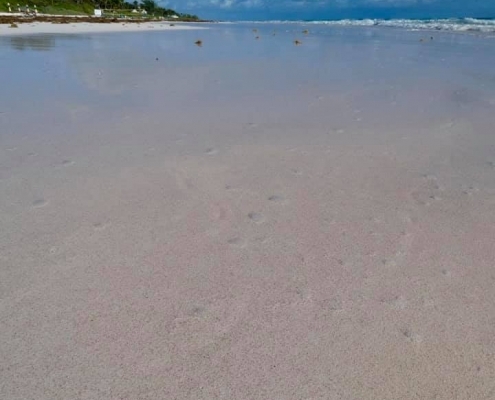 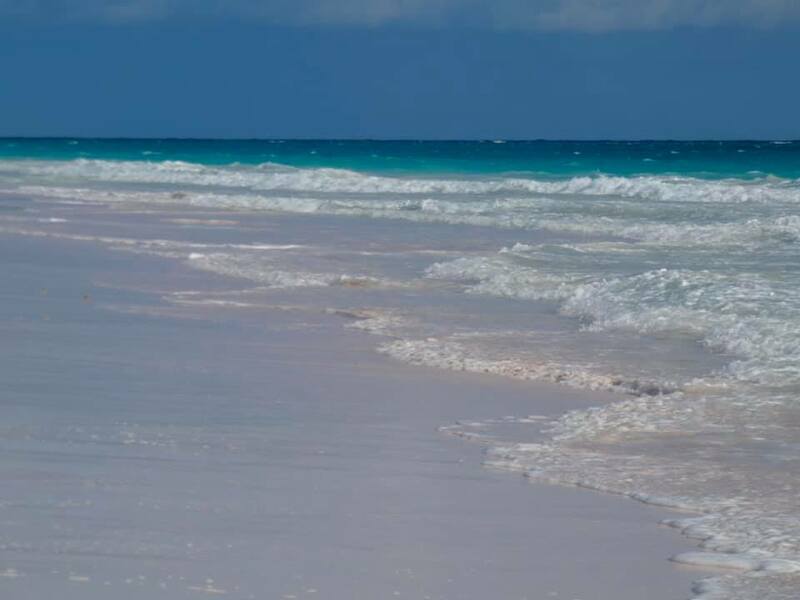 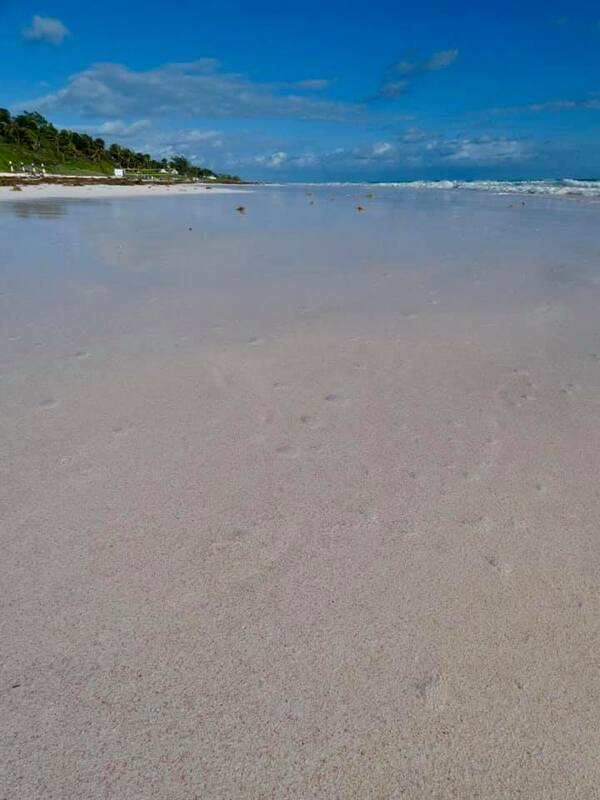 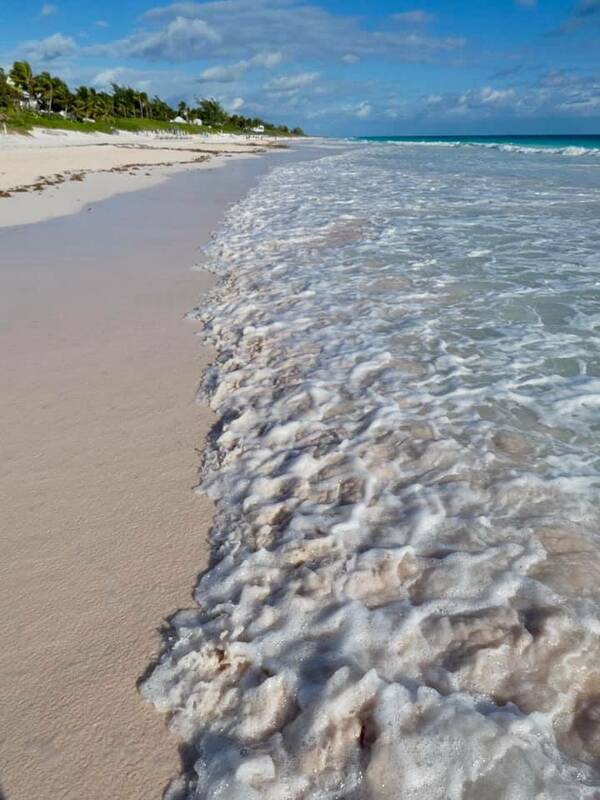 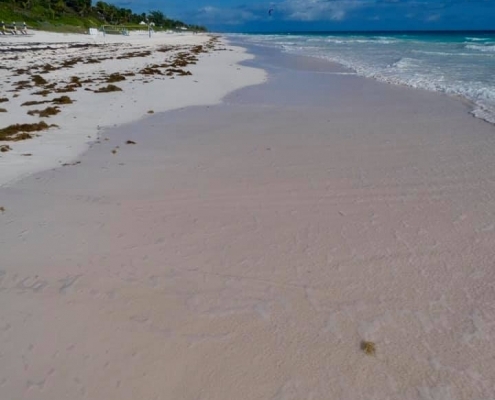 The Pink Sands Beach is one of the most spectacular beaches In the world – it has a slight pinkish hue in the sand from thousands and millions of broken coral pieces, shells, and calcium carbonate from foraminifera (tiny marine creatures with red and pink shells). 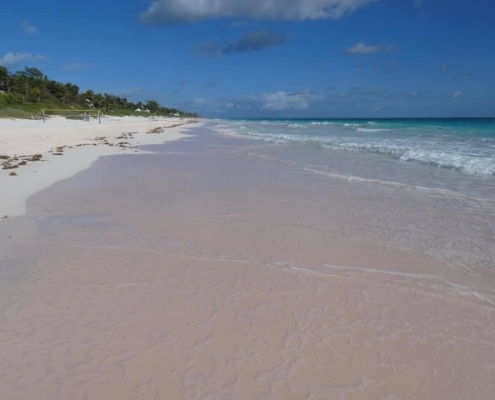 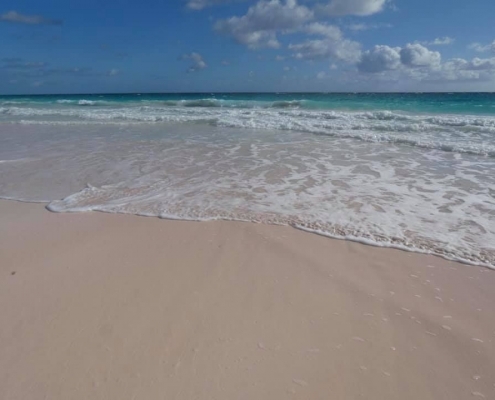 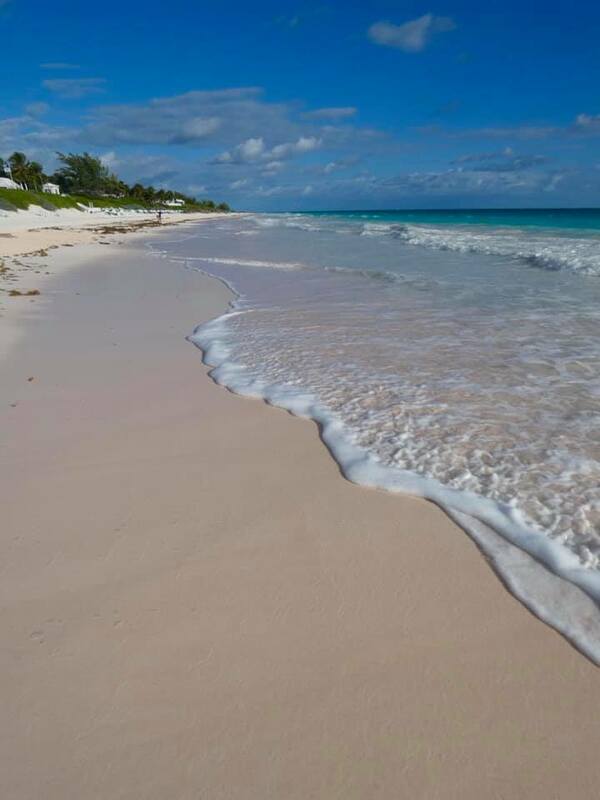 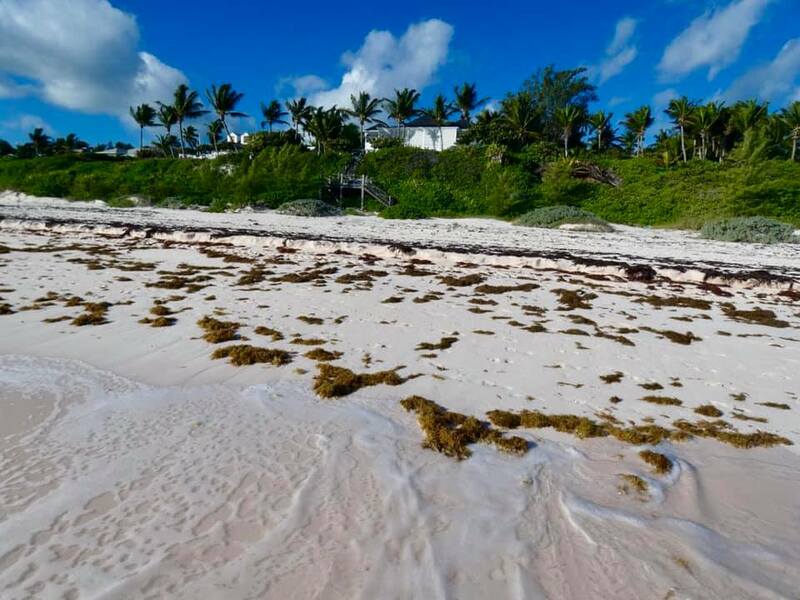 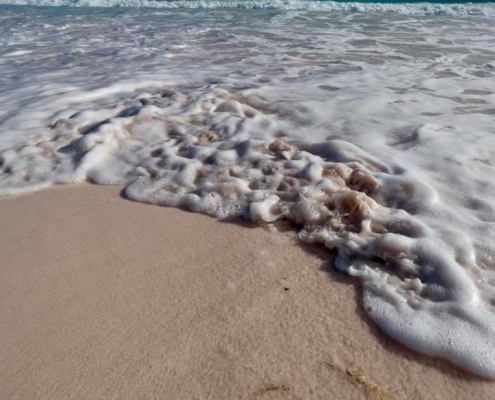 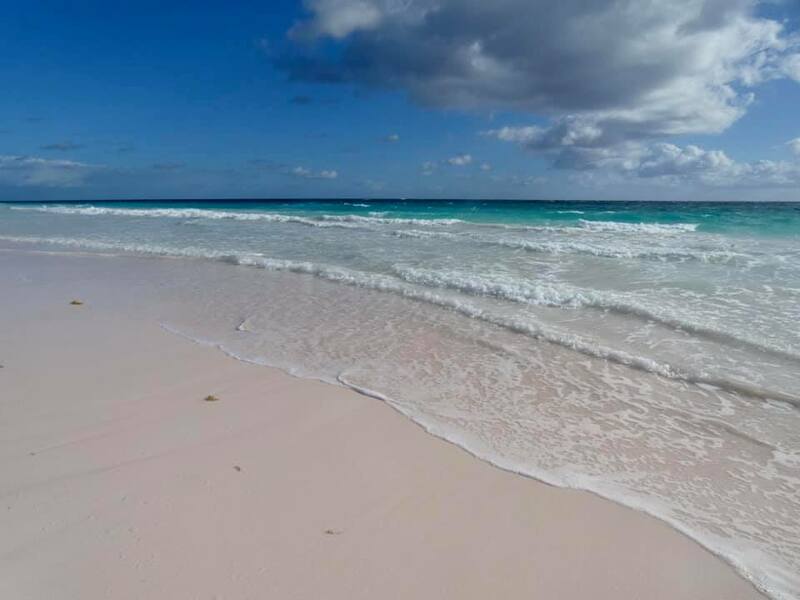 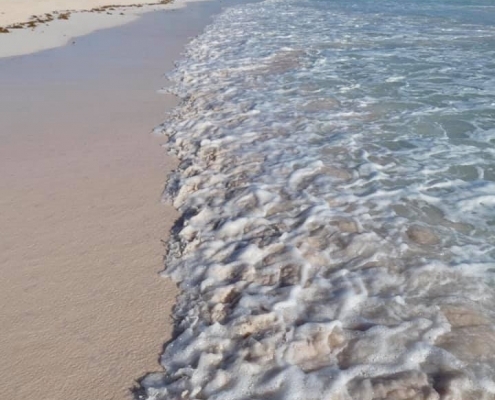 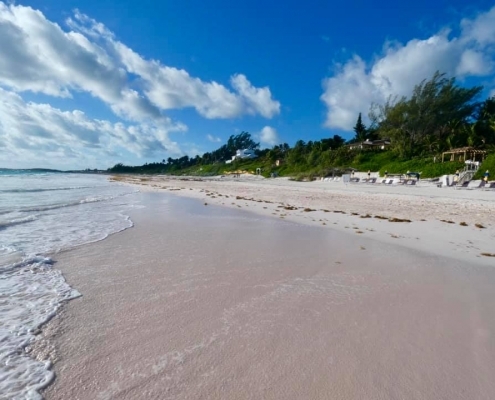 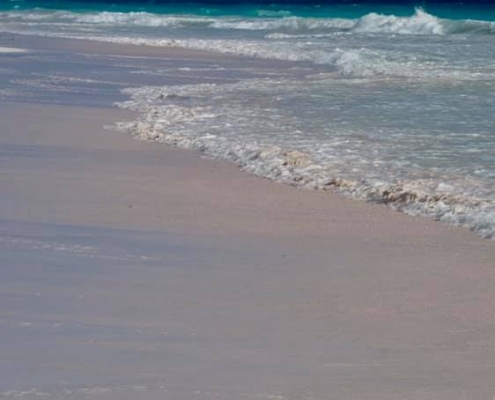 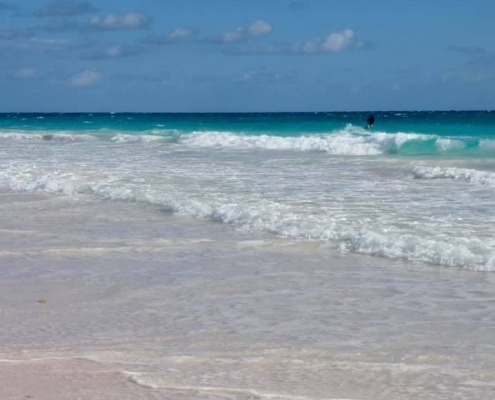 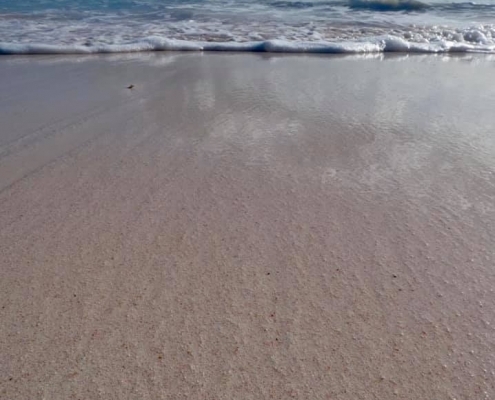 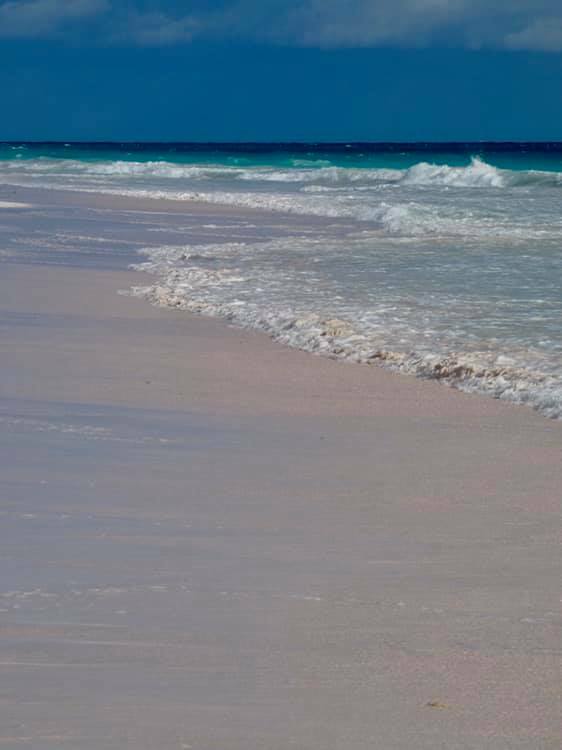 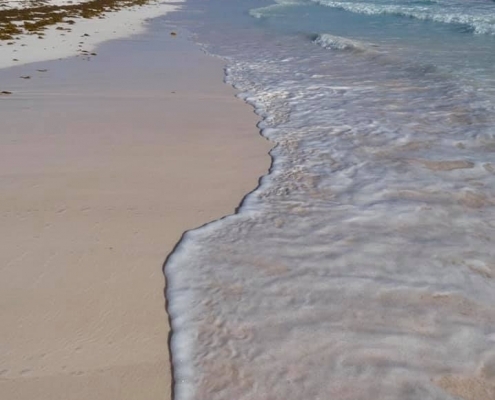 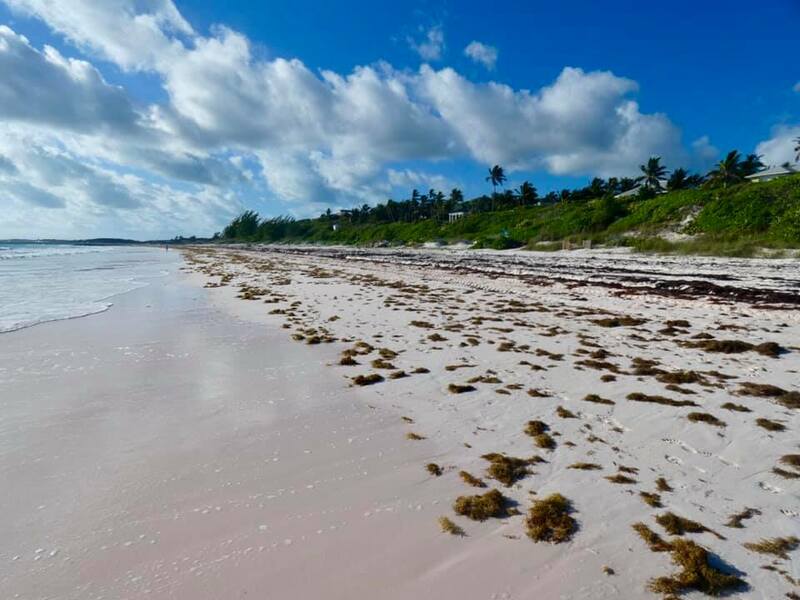 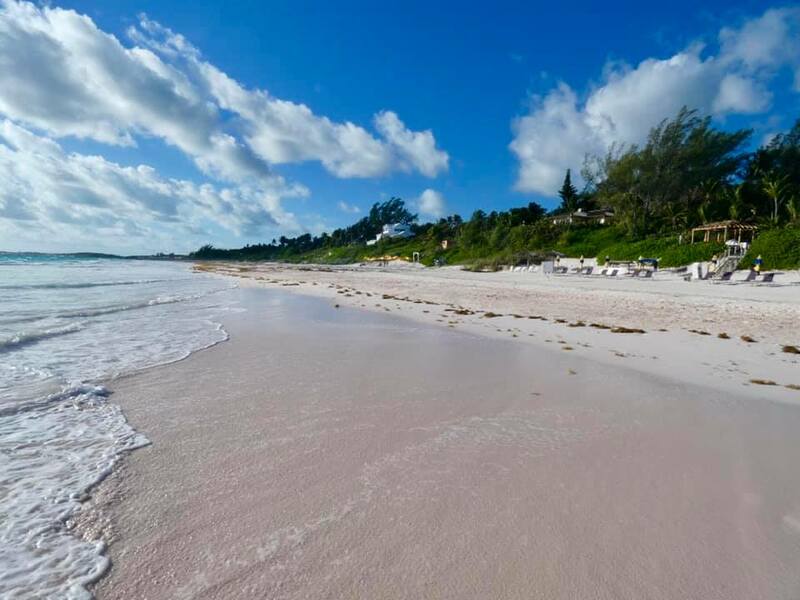 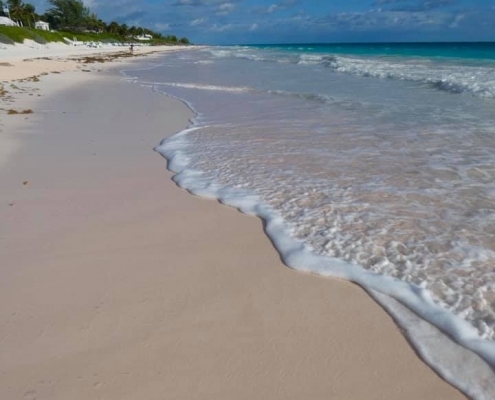 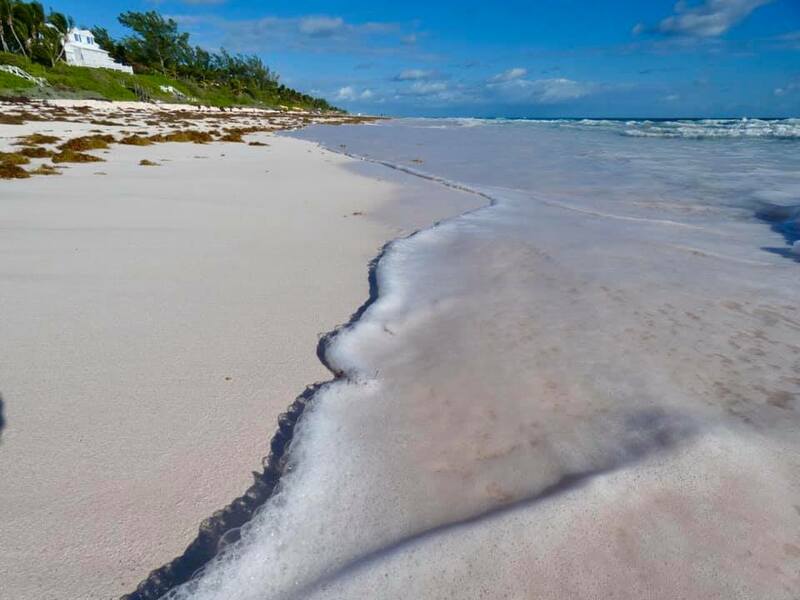 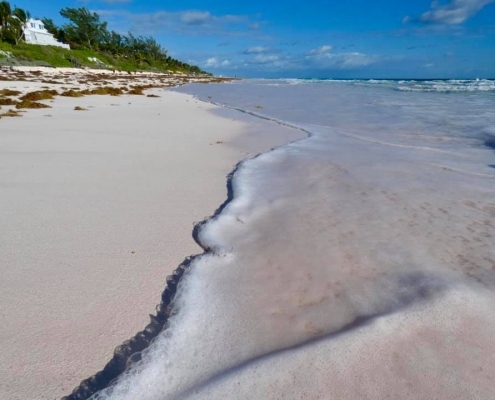 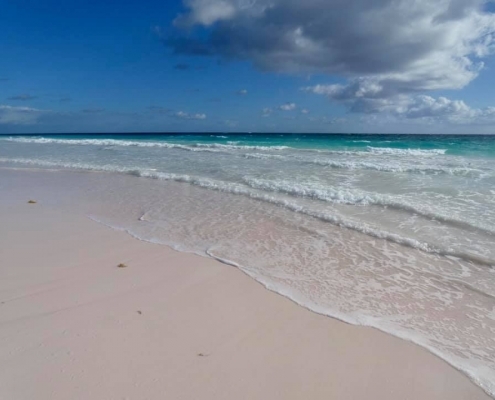 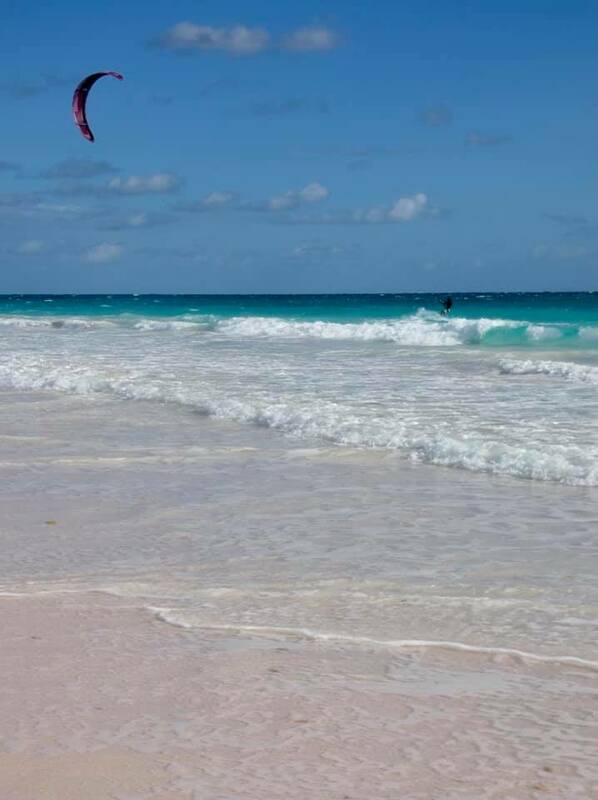 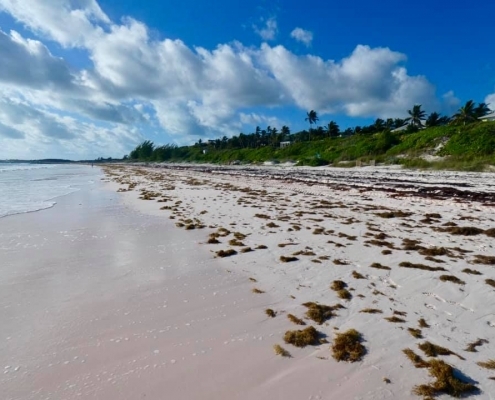 If you google for “pink beach Bahamas”, you will get dozens of super pink pictures where wannabe fake travel bloggers overload on their instagram filters – that’s not Bahamas but more likely a beach from Avatar. 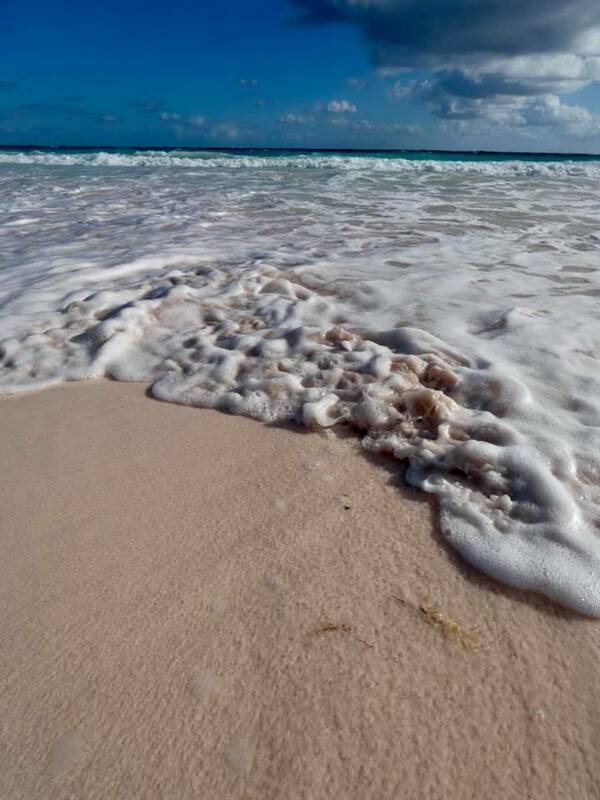 My pics have zero filtering. 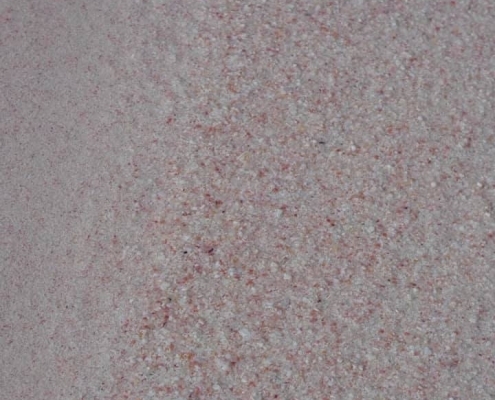 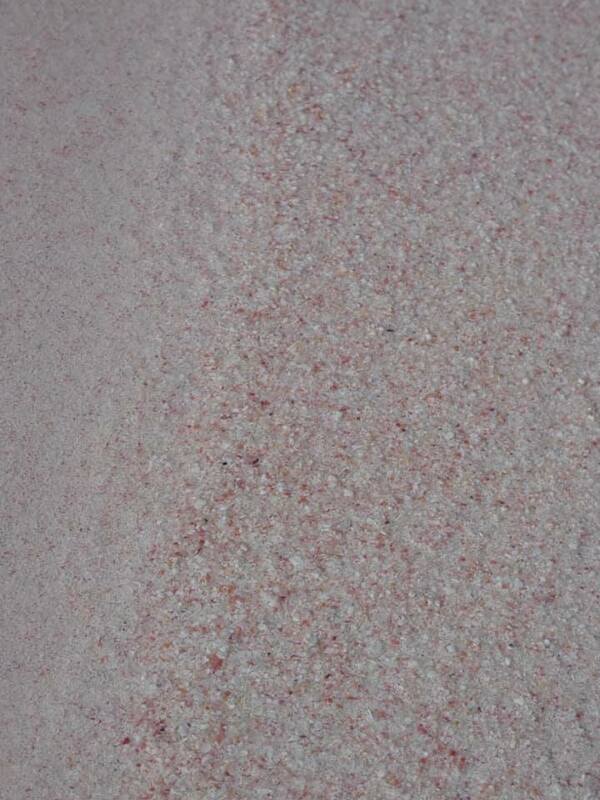 The pink color is very subtle and rather soft and if you look close you can see the tiny red particles. 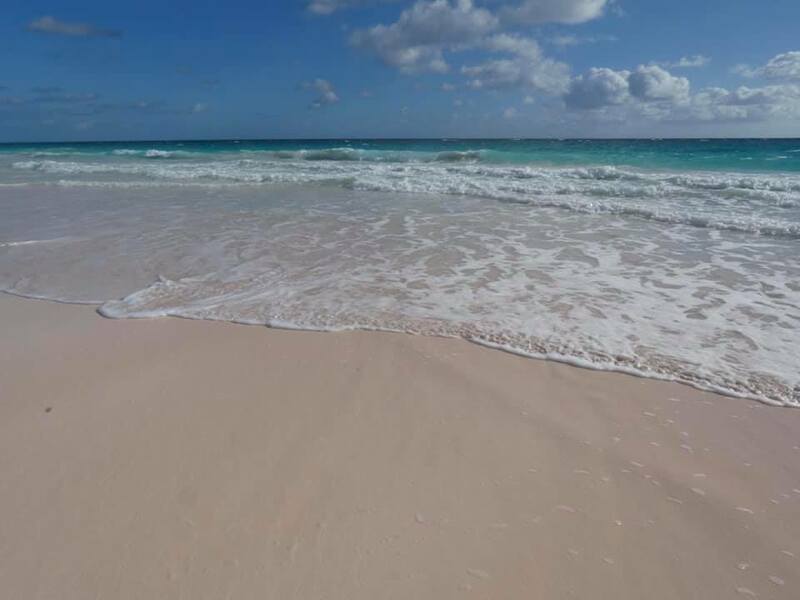 Certain light and angles make it appear pinker. 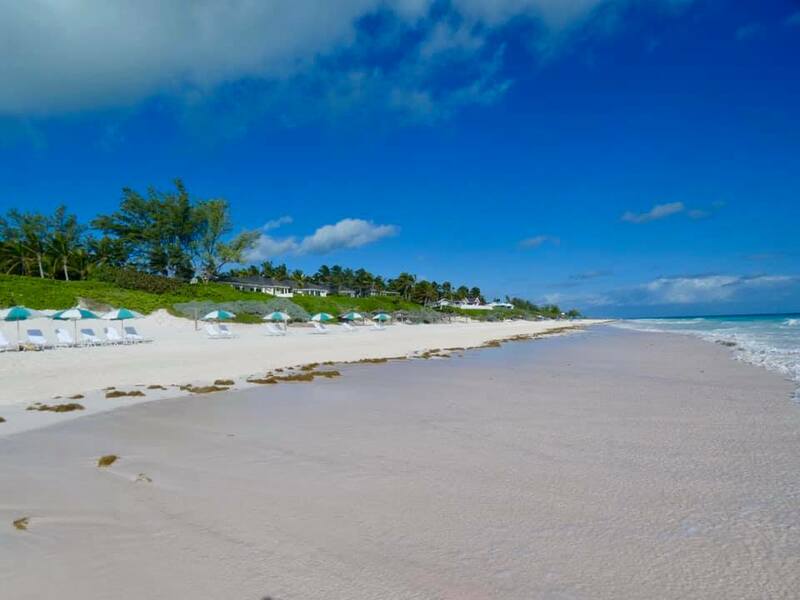 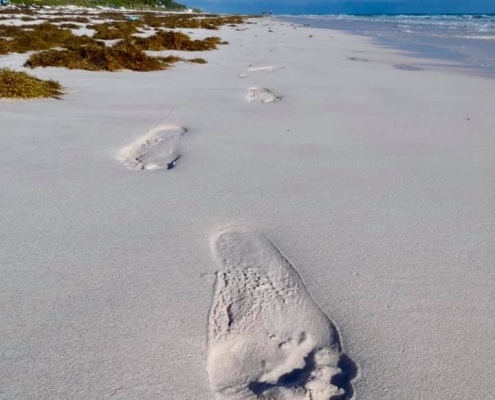 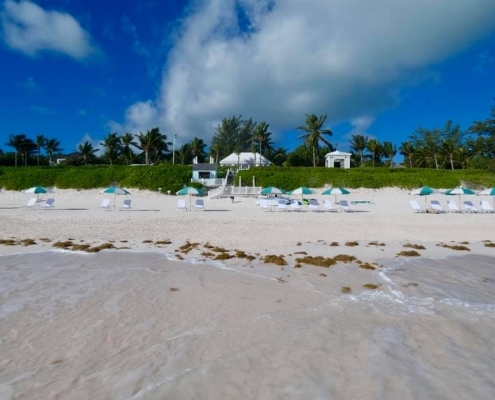 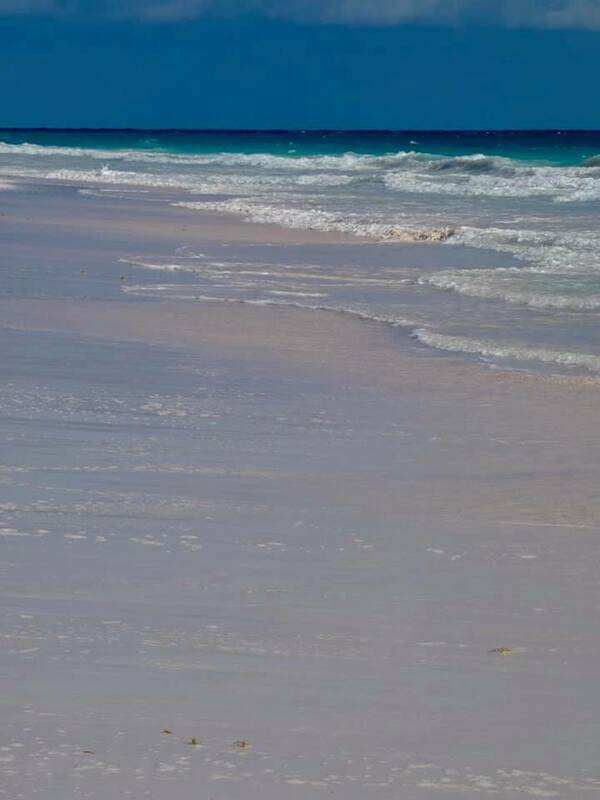 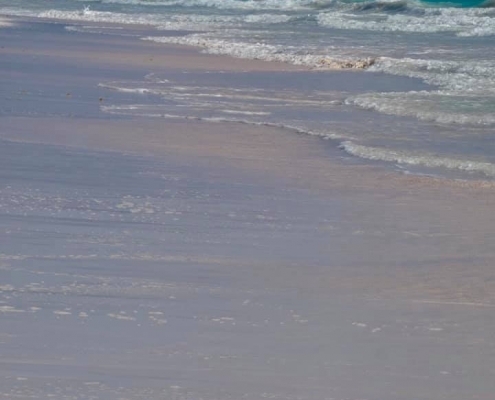 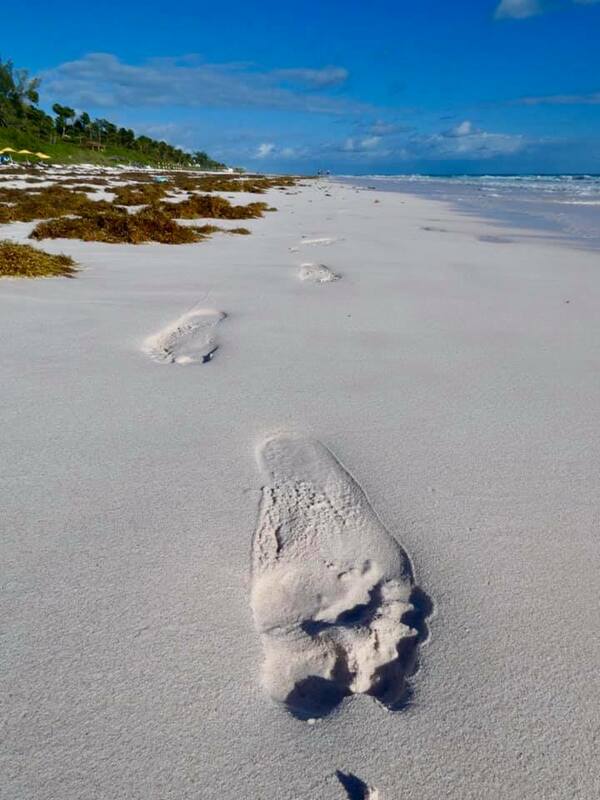 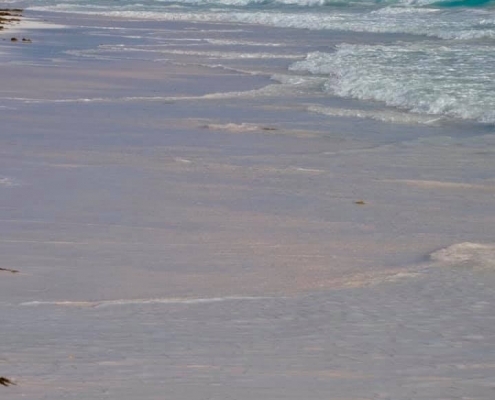 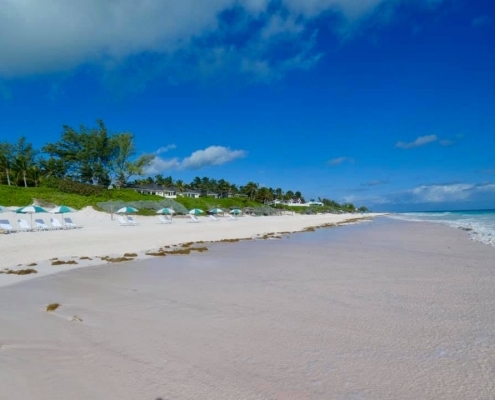 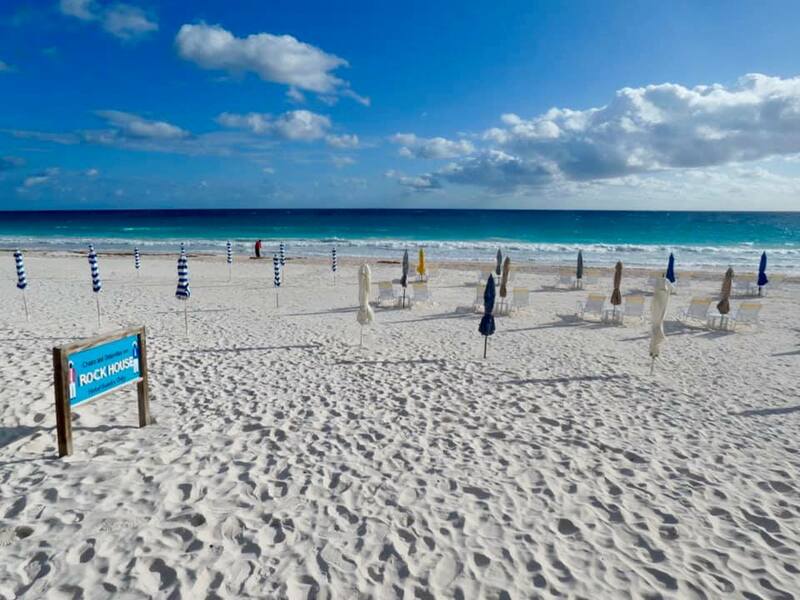 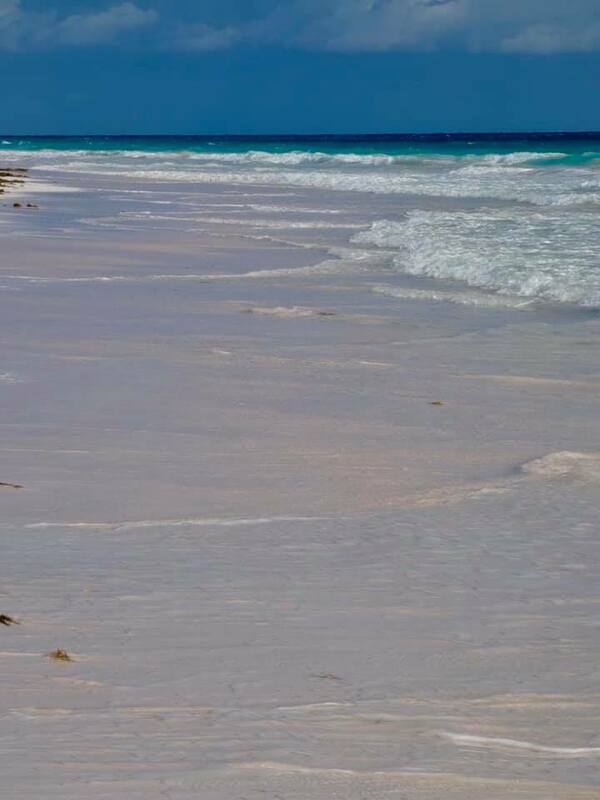 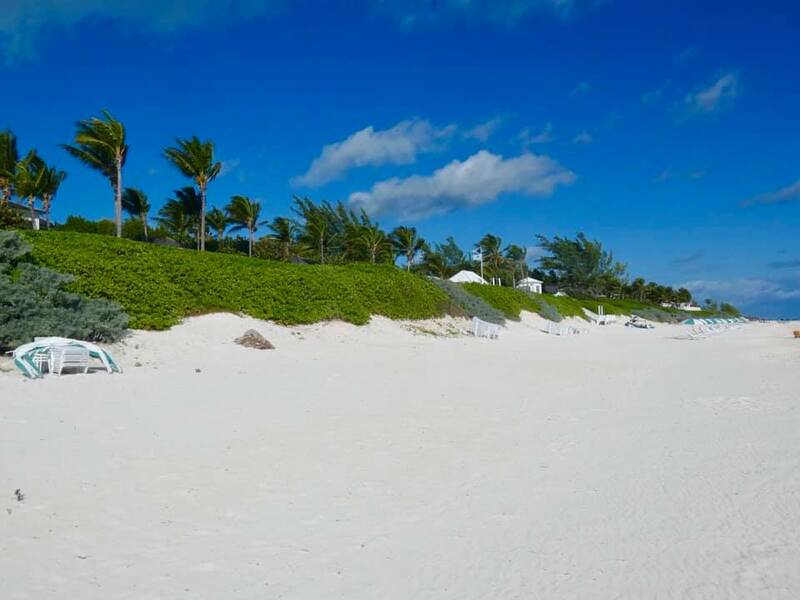 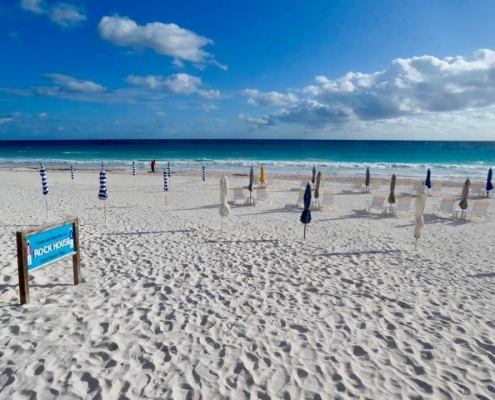 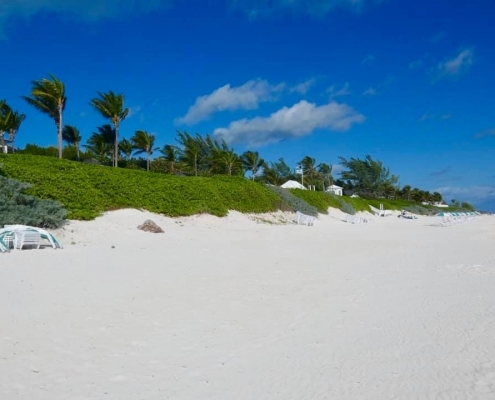 The beach goes the entirety of the Harbor Island’s eastern shore, exposes to the Atlantic Ocean waves .